While the use of water is not essential in a Humanist Naming Ceremony, it does add a nice traditional touch for many families and friends, some of whom might feel the ceremony is incomplete without it. Science has established that life began in the ocean waters of the Earth. Some species remain today within our oceans, lakes and rivers. Others, long ago, rose from the waters to live on the land. In celebrating the birth and naming of a new child, water signifies this new beginning -- the essence of all life here on earth. Our bodies contain at least 60% water, and every living cell in the body needs it to keep functioning, to lubricate our joints, regulate our body temperature, and help to eliminate waste. In short, water is essential to our health, growth and survival. 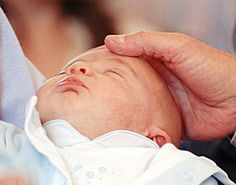 Thus, in a Child Welcoming Ceremony, we use water to symbolically raise the child to life and to remind us of our need to constantly nourish and cleanse the child, throughout his/her life, to assist in their growth, promote clean living, regulate their temperaments and protect them from harm. Only a drop of water -- typically a smudge on the forehead -- is needed to convey the symbolism. This can be administered by me as officiant, or by parents and witnesses. I will provide the water and a small dish for that portion of the ceremony, and work with you to find appropriate wording.